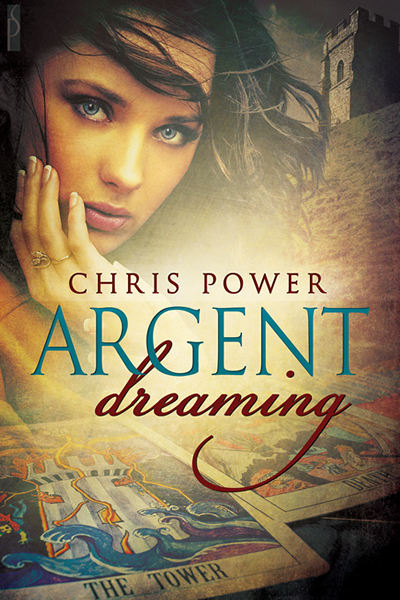 ← Argent Dreaming – The Cover! Release Date September 22nd from Silver Publishing – Pre-Order Now! Melanie sat up with a spine-wrenching jerk and paper crackled around her. “Nooo,” she whimpered, screwing her eyes shut. “Not again!” Yesterday she’d burned the last sheets of blank paper, every unmarked page in her sketchbooks, every pen, pencil, paintbrush and charcoal stick she possessed. What did I forget? The dawn light filtered through the canvas walls, more than enough for Mel to see the litter surrounding her. Pages torn from the paperback novel she’d read the previous evening, all of them covered in scrawls of red and black and purple—lip pencils and eye-liners, noted the rational part of her mind. Panic overwhelmed the rest of her. “No!” Mel cried, scrabbling the desecrated pages together and scrunching them into a ball. “Nonono—” But some of the images were already burned into her head: Mark, naked and defenseless but for the protecting bars, surrounded by viciously barbed vines straining to reach his flesh. Mel stumbled outside, the dew shockingly cold on her bare feet. The fire from last night still smoldered and she shoved the wadded mass of paper into its heart. It seemed a lifetime before the flames flickered into life and destroyed it. “Is that what you’re doing?” Maeve frowned. “Stock-sheets?” As if it was a somewhat questionable social practice. “I thought you were supposed to be working on Mrs Hewitt’s star chart?” Any professional scepticism Maeve might have had about astrology-by-software had been dispelled the first time Cat had run a birth-date, time and place through the computer and come up with a very similar result to her own reading, in a fraction of the time. And Cat, as everyone knew, had all the psychic ability of the average house brick, despite the talents of both her parents. While she waited for the kettle to boil, Maeve covertly studied her daughter from bare feet, leggings and loose t-shirt, to the glossy curtain of hair. Black as a raven’s wing that hair, and with the same kind of iridescence in the sunlight. It fell about Cat’s face in waves and curls that most women would pay a small fortune to possess. Stefan’s hair had been that dark and had curled in the same untamed way. Maeve’s fingers itched to comb it out, smooth it into neatness as she had when Cat was a child. Instead she tucked back a stray tendril of her own hair, re-ordering the tortoiseshell combs that helped to hold the heavy chignon in place. Working on automatic, because her attention was all on Cat’s profile, half-hidden by that wing of silk. The girl’s face was a little drawn, paler than Maeve liked to see and her vivid blue eyes—Stefan’s eyes—were strained beneath translucent lids. Nor was it only the outward appearance she inspected, but the subtle language of stance and inflection. It didn’t take a mother’s intuition or psychic talents to tell her Cat was restless, lonely and unsettled, and she had been for some time. Since she had graduated from Reading University and come home, subdued and reserved, with no talk of Robert Webb or any other man. Had come home to Brighton and immersed herself in the running of Argent Dreams, the family’s small fortune-telling and New Age bric-a-brac business. Theses days they just about scraped by on Craft Fairs, Psychic Fairs, County Shows and village fetes throughout the south of England, augmented by regular astrology columns and air-slots in local papers and radio stations. But Maeve was more concerned about Cat. It seemed there was no man in the life of her charming twenty-four year old girl and that was not as it should be, in Maeve’s book. So what had happened with Robert Webb? Maeve remembered him as a tall, brown-haired young man, not at all bad looking and with a nice smile, if a little aloof. Cat had brought him home during the last half-term break of her final year at the university and Maeve had been delighted to see her rather withdrawn daughter so obviously happy. Not that she had always been so introspective. Before her father’s death she had been a laughing, confident child, never still, full of energy and curiosity. Grief for their loss had changed that but for a while Rob had given Maeve back the real Cat. But now he was conspicuous by his absence and had been for the last eighteen months, while Cat was again holding the rest of the world at a distance. Oh, well. Rob was strongly Virgo, Maeve recalled, precise and critical and rather rigid and therefore incompatible with Cat’s Scorpio. Besides, love affairs have a habit of ending. She’d had one or two heartbreaks herself until she’d met Stefan. Stefan Ezust, a true Rom of Hungarian-born cigány-stock. They’d met at a Psychic Fair in Margate where she was reading Tarot cards and her crystal ball in a tent, and calling herself Maeve Fortuna—it sounded more esoteric than Maeve O’Rourke—and it had taken only one glance at that laughing brigand to know this was the man meant for her. They were married by the month’s end. Stefan changed his name—well, anglicized it—to Argent and between them, Argent Dreams was created. So was Cat. Named Gráinne Caitlin and in later years shortened by the girl’s own insistence to Cat, to Maeve’s regret. Stefan hadn’t minded, just laughed and teased them both. He made a joke out of everything life threw at them, the good and the bad. He’d even turned the lung cancer into one, so much so that even though it eventually killed him, he was never defeated by it. But something was defeating his daughter and Maeve was determined that would never happen if she could prevent it. “Mum, aren’t you supposed to be meeting Aunt Sophie at eleven?” Maeve gave a startled jump. Cat was not as oblivious as she’d thought. “I’m ready,” Maeve replied, scooping up the cards and shoving them back into her purse. Sophie, of Sophia’s Aromatica, herbalist, part-time medium and cousin several times removed to Stefan Argent, might well have some useful ideas on Tarot card designs.